Many know Michelle Obama as the polished First Lady of the United States. Before she was the First Lady, she was a Harvard Law School student and an associate at Sidley Austin. In 1989, she met her future husband, Barack Obama, while he was a summer associate at her firm. And as they say, the rest is history. Last week, like so many times before, Michelle Obama delivered a stirring commencement speech for young graduates. 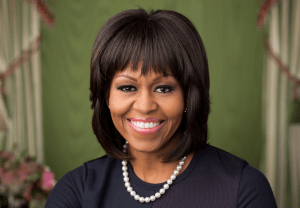 Whether it was at Martin Luther King Jr. Preparatory High School, Tuskegee University, or George Washington University, Michelle Obama has motivated audiences throughout the nation with her personal stories, compelling anecdotes, and life lessons. For those who have never had the opportunity to hear the First Lady speak, I wanted to share some of her best advice.